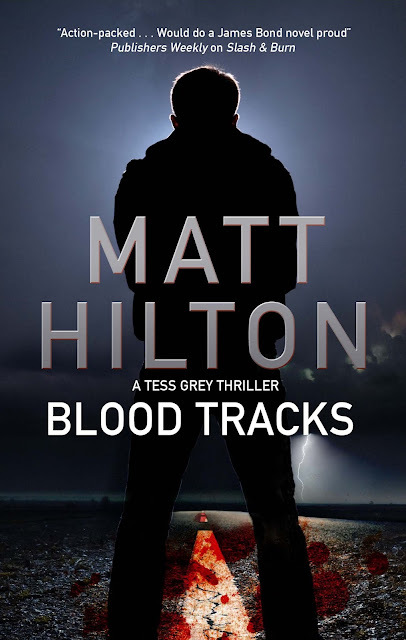 Matt Hilton Thrills: Follow the "Blood Tracks"
When her local District Attorney offers her a considerable sum of money to track down state witness Crawford Wynne, private investigator Tess Grey is in no position to refuse. Wynne is one of the few men still alive who can help the State nail vicious drug lord Albert Suarez. But Tess is not the only one trying to track Wynne down. Suarez’s psychotic brother Hector has been hunting and butchering anyone who is a danger to his brother.